Everyone has someone on their Christmas list who, it seems, is just impossible to buy for. I don’t know how many times I have found myself frantically searching through catalogs, browsing through quaint little stores, and even wandering off the beaten path in desperation, attempting to find a gift for that hard to buy for person who just seems to have everything. If this sounds like you this Christmas, never fear! Santa and the elves have gone above and beyond this holiday season to bring you some truly unique Christmas gift ideas that would even impress Scrooge! If finances are limited, it can be even more difficult to come up with unique Christmas gifts. Unique doesn’t have to mean expensive, however. Here are some one of a kind Christmas gift ideas that won’t drain your wallet. Personalize it! From golf clubs to bathrobes, almost anything can be personalized. 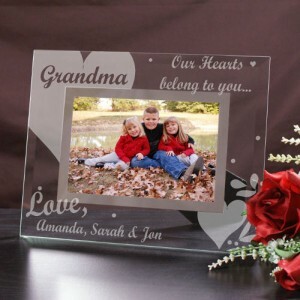 The special woman in your life would be delighted to find things like a personalized picture frame with that treasured photograph inside, a personalized set of bath towels, or a customized coffee mug under the tree this year. Men would appreciate things like a personalized pocket watch, customized beer mugs, or maybe a personalized briefcase. 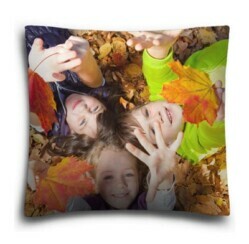 Kids and teens love things like personalized wall art, jewelry, or cell phone/ mp3 covers. Make it! Head over to your local hobby store and pick up the supplies, or order them online. Make things like no-sew blankets and robes, etched wine glasses, or try your hand at wood burning! Homemade candles, floral arrangements, and clocks make wonderful gifts as well. If your recipient collects something, consider searching for something unique to add to their collection. You might find a signed baseball or autographed photo for the sports fanatic, rare coins or stamps or a unique display for the collector, or a handmade item that compliments their collection. If you are having difficulty coming up with one particular gift, consider grouping things together based upon a certain theme, and create a gift basket. You might include items like popcorn, hot cocoa, a warm throw, and a movie for a movie night basket, combine various bath items like soaps, bath salts, lotions, etc for a spa basket, or create a collection of art supplies for that artist in your life! Consider something your loved one has always dreamed about experiencing. Schedule a tour of a candy-making factory for the chocolate lover on your list. Take a day cruise with your loved one. Make plans for a weekend away with that special someone. 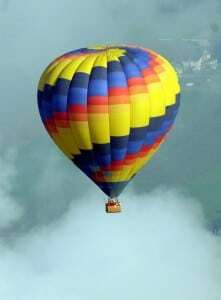 Make reservations for a hot air balloon ride. Order a gift certificate for one of the many experience gifts that are available including things like fighter pilot for a day, a ride in a race car, or a day at the spa. Take a train ride across the countryside. Purchase a membership to a spa, tanning salon, amusement park, etc. Purchase tickets to a sporting event, concert, opera, or play. What are some of the most memorable or unique Christmas gifts you have received?